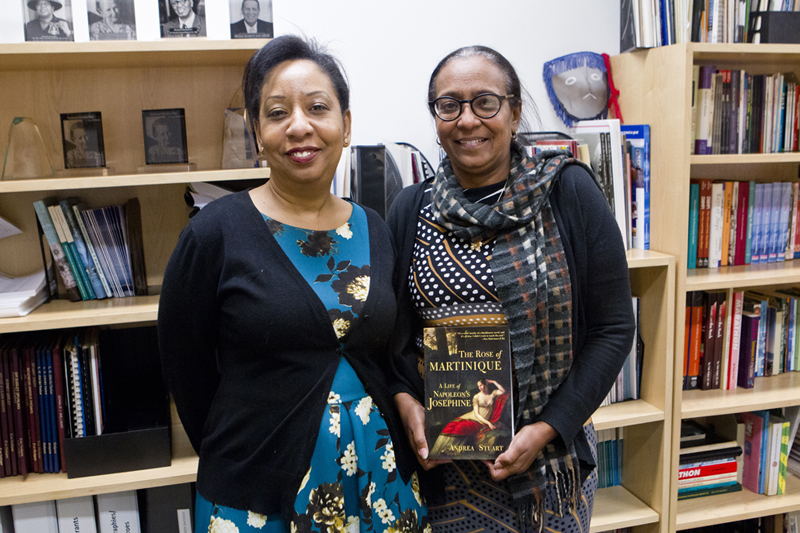 Today [Jan 24] the Minister of Labour, Community Affairs and Sports Lovitta Foggo met with Bermuda’s 2019 Writer-in-Residence and guest author Andrea Stuart. Ms Stuart is on the island to facilitate a three-week Writer-In-Residence programme which is intended to encourage 14 local writers to develop their craft in a supportive environment of constructive criticism. The programme is organized by the Department of Community and Cultural Affairs. “Ms Stuart was born and raised in the Caribbean. She studied English at the University of East Anglia and French at the Sorbonne. Her first book, Showgirls, was published in 1996 and was adapted into a two-part documentary for the Discovery Channel in 1998 and has since inspired a theatrical show, a contemporary dance piece and a number of burlesque performances,” a spokesperson said. “Her second book, The Rose of Martinique: A Biography of Napoleon’s Josephine, was published in 2003. The Rose of Martinique won the Enid McLeod Literary Prize in 2004. Her third book Sugar in the Blood: One Family’s Story of Slavery and Empire was published in 2012. 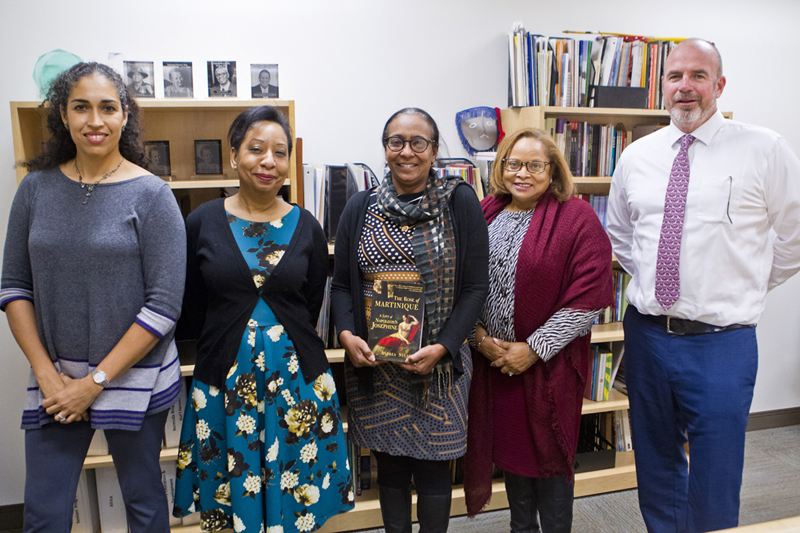 “We are extremely fortunate to have a writer of this caliber here on-island to help nurture our local pool of aspiring authors,” said Minister Foggo. Previous ‘Writers in Residence’ have included Jamaican memoir writer Rachel Manley; Peepal Tree Press editor and crime fiction author Jacob Ross; filmmaker Lucinda Spurling in the genre of screenwriting; Commonwealth Prize winner Olive Senior; and other award-winning writers in various genres. While she is in Bermuda, Ms Stuart will also be offering a writing workshop for students at the Berkeley Institute and Somersfield Academy. Ms Stuart will give a public reading of her work on the evening of February 6 at the Bermuda National Gallery. The reception starts at 5:30pm with the reading beginning at 6pm. Those interested in attending should RSVP to Veney Sims on 292-1681 or vcsims@gov.bm and can contact Folklife Officer Dr. Kim Dismont Robinson on 292-1681 or kdrobinson@gov.bm with any questions.